We are regularly looking for young talents who are interested to complete the internship program at Perron Campaigns. Internships are paid and generally last for six months. They take place either in Zurich or Manila. In general, an internship is full time but the work hours are flexible. In this sense, it is ideal for a student who is about to reach the end of his or her studies or someone who just graduated. 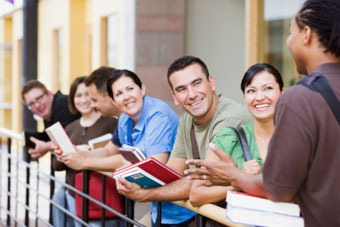 Assignments include everything from administrative tasks to more substantial ones. We are looking for people who can work independently, are highly motivated, flexible and detail-oriented. Willingness to work hard, office work experience, very solid English and computer skills (MS Word, MS Excel, MS Powerpoint, SPSS/Stata) are necessary conditions. Knowledge in French, Spanish, Italian, Filipino, Thai or Brazilian is not a condition but a big plus. We offer an inspiring and unique work environment in the field of public affairs and political communication. Please contact us through this form if you want to apply for the internship program. Please send us your CV with references as well as a writing sample. Please state the period when you could start. If you are applying for the internship in Zurich, you should have a very strong command of the German language and knowledge of Swiss politics. Please understand that we cannot answer all applications. Please do not call us. We will get in touch with you if your application meets our interests.